Katie Bjornstad Amin has extensive experience advising employers, governmental entities, self-funded plans, and insurers on health and welfare matters. Her practice encompasses the full range of federal and state laws that affect the administration of health and welfare benefit plans, cafeteria plans, health savings accounts (HSAs), health reimbursement arrangements (HRAs), flexible spending arrangements (FSAs), voluntary employees’ beneficiary associations (VEBAs), wellness programs, expatriate coverage, fringe benefits, captive insurance arrangements, and other employee benefit arrangements. Katie also counsels clients on their obligations under the Affordable Care Act (ACA), including employer shared responsibility requirements, IRC Sections 6055 and 6056 reporting requirements, annual fee on health insurance providers, insurance market reforms, and the ACA’s tax provisions. Katie assists clients with obtaining rulings from the IRS and submitting comments to the IRS, Department of Labor, and Department of Health and Human Services in response to agency guidance. Katie regularly speaks on the ACA and other employee benefit matters. She has been quoted in the trade press and her articles have been published by the Benefits Law Journal, Bloomberg BNA Tax Management Compensation Planning Journal, Employers Council on Flexible Compensation FLEX Reporter, and Law360. Prior to joining the firm, Katie spent nearly 4 years at the IRS Office of Chief Counsel in the Health & Welfare Branch. 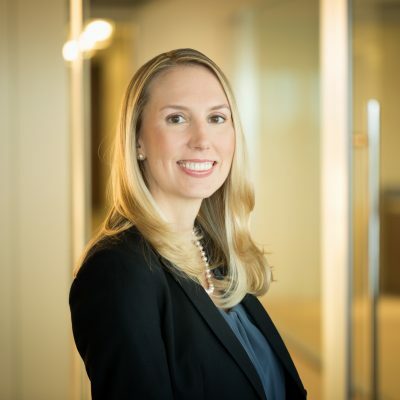 At the IRS, Katie drafted guidance, private letter rulings, and technical advice on issues involving VEBAs and other welfare benefit funds, including Sections 419 and 419A employer deduction issues and VEBA unrelated business income tax (UBIT) issues, and the ACA.